If you could use one word to use as your word, what would it be? Would it be positivity, kindness, empowerment, compassion, love, happy, inspire? 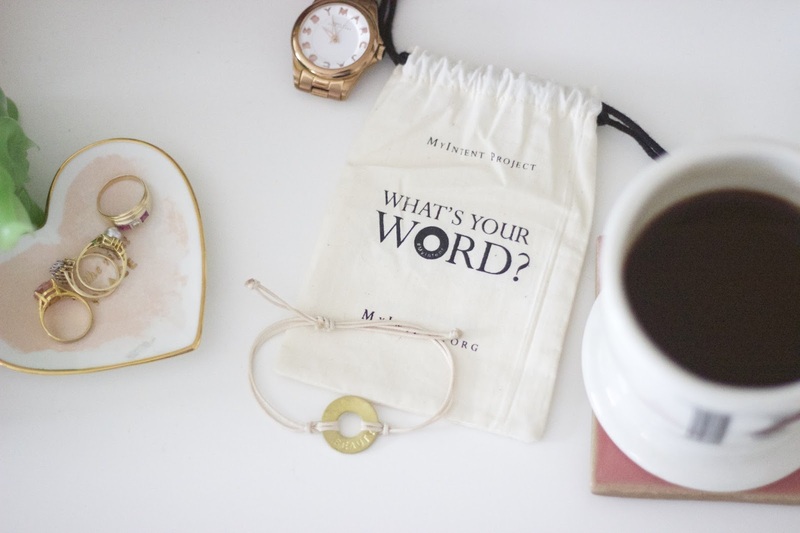 I never thought picking one word that ignites purpose and spreads positive energy could be hard. I wanted a word that basically is positive, kind, empowerment, compassion, love, happy, and inspire all in one. And that was when I realized the word is beauty. When I think of beauty, anything happy and positive comes to mind. It is more than a word that describes something artificial. When I see beauty, I see a man feed a homeless man, a little girl running down the aisle of a church to tell another little girl ‘peace be with you’, when all things are dead I see one bright flower blooming. Anything that is good always has beauty. Beauty can create conversation and support one another and that is the purpose of the MyIntent project. 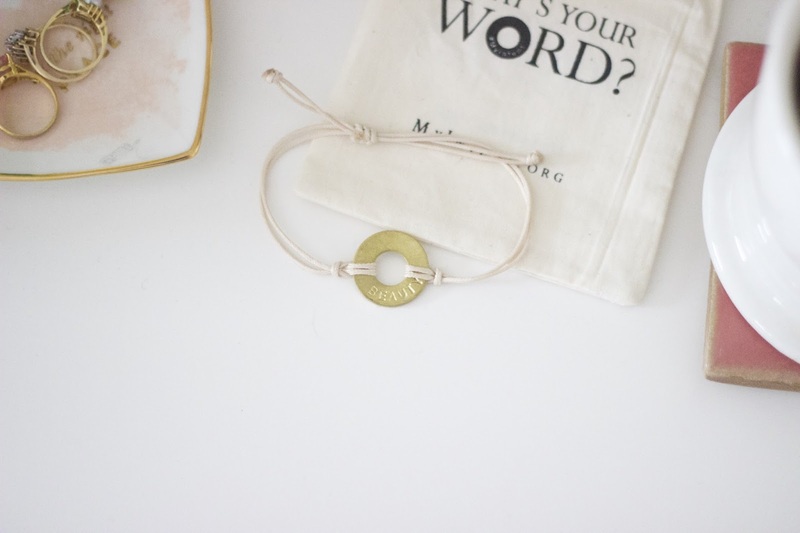 MyIntent believes there is a purpose inside each one of us and encourages everyone to share truth and purpose. It is more than a jewelry line. 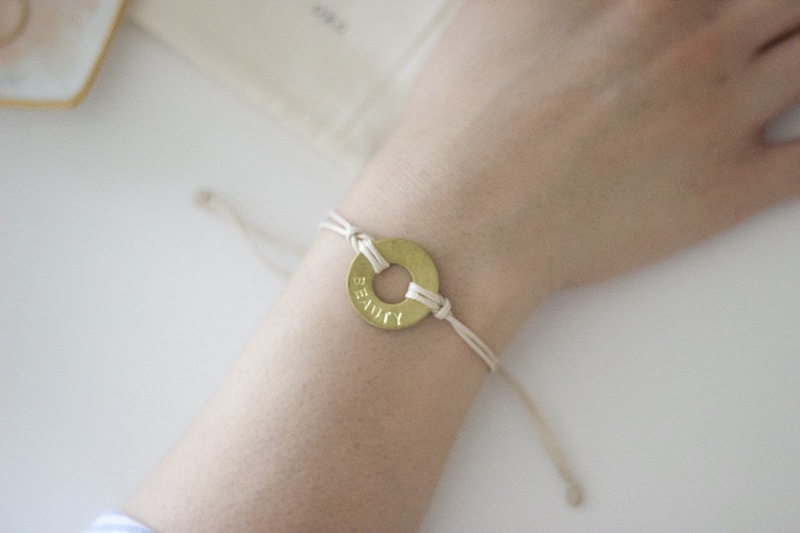 They hope that the concept of MyIntent will inspire others and do good. So what is your intent? Very honest and powerful piece of jewelry! Love your intent Rachel! Thanks Heidi! I hope your day went well! Such a wonderful and honest post! Love the honesty of this post! And you look so fabulous! such a beautiful piece of jewelry! This is beautiful and your writing in this post was amazing. Loved this message of love and positivity today! It's definitely a tough one! I totally agree. Beauty is beyond what the eye can see! What a cute idea and a cute design!! What a cool concept! I really enjoyed reading this post, Rach. Thanks for sharing! Thanks Ivete! I'm glad you enjoyed it! Love this post! 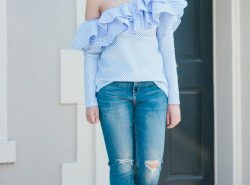 I have enjoyed reading this post! This is a beautiful post. I love the idea of beauty being more than surface level, and I totally agree. You are beautiful! Aw thank you Amy Ann! You are too sweet! Love this concept! Thanks for sharing! Thanks Rachel! That's a great word! Thanks Stacey! It definitely does! So cool, lady- and I love the raw vibe the bracelet has. Your word is perfect! What a lovely daily reminder! This is such a great idea – I think I'd struggle to pick just one though. It really is! I definitely struggled! Loving that bracelet, it is simple and very cute! this is so cute rachel! Sweet post and great word choice. I've been trying to think about what word I would choose but it is so hard!! Thanks Erica! It is really hard! 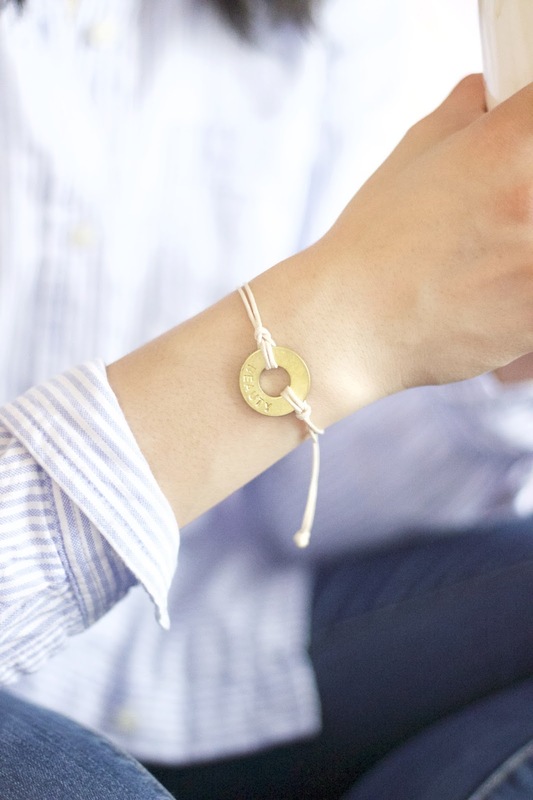 What a beautiful bracelet and an even lovelier project! Your description of the word beautiful is so, well, beautiful 🙂 Loved reading this! Great word and jewelry dear! Am in love with this initiative#My Intent because it is all about doing good and considering the other person. You look amazing!! I really like the initiative too! Thank you Meron! 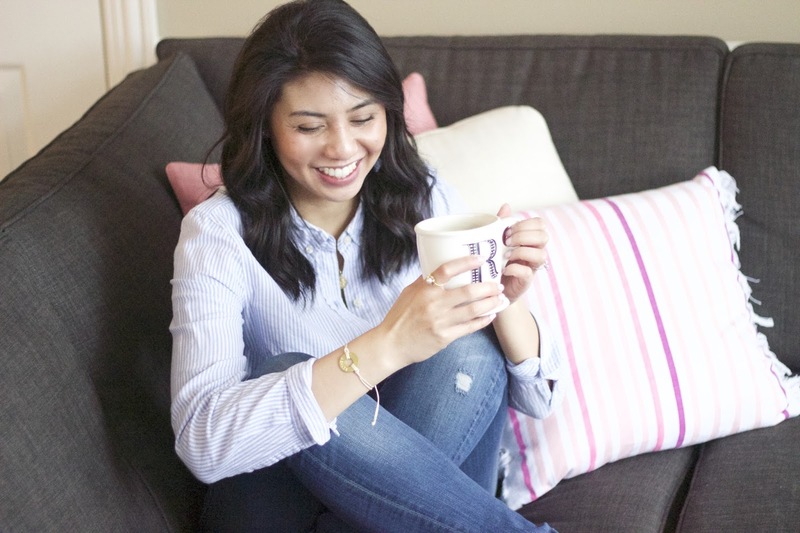 I love the meaning behind the bracelet, and I love yours! "Beauty" could not have been more accurate! You are a beauty, inside and out! Wishing you and your family a Happy Easter!! Thank you so much Vanessa! You are too kind! Your bracelet is gorgeous…I love the design! Oh this is so beautiful! I love how you describe what "beauty" is to you. 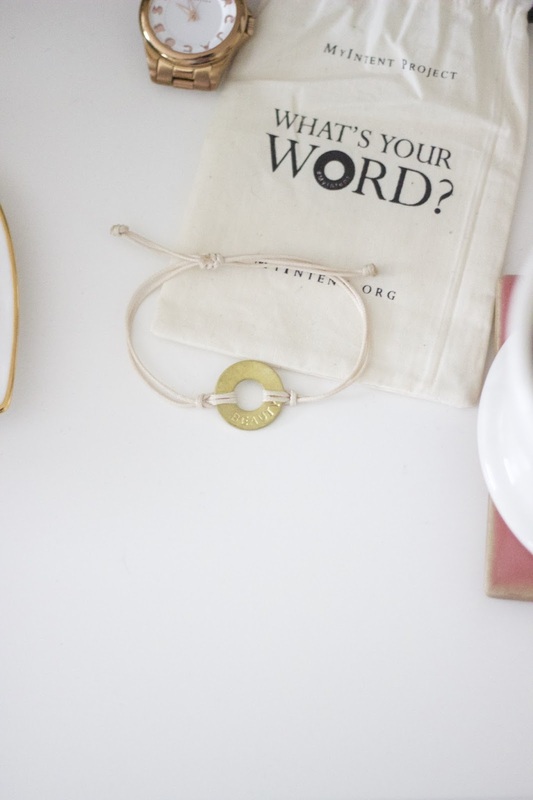 What a wonderful word and great jewelry project! Beautiful post live that bracelet. Thank you Yulia! Hope you had a wonderful Easter! Lovely post babe. You look super adorable! Have a fabulous Monday! Such a great concept and love the word you chose. These are fabulous!